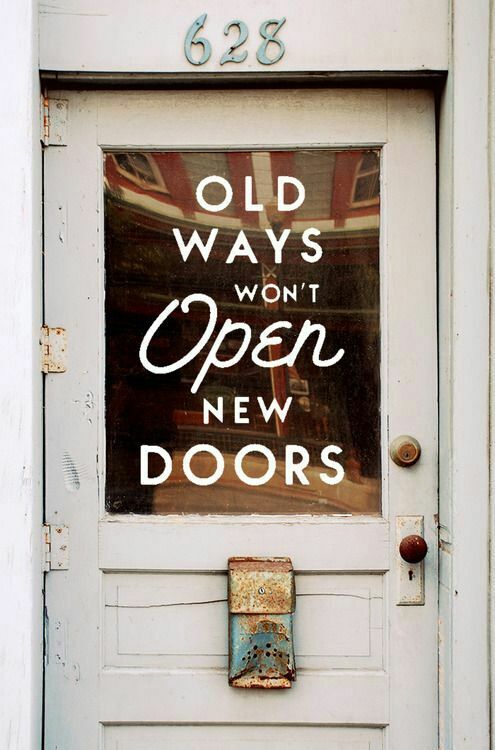 If you are feeling stuck in your music career, take this to heart– old ways won’t open new doors. I won’t take credit for inventing this mantra, but it is true. Last week at the Chamber Music America 2015 National Conference in New York City, I served as a career counselor. The question that I most frequently received from my advisees was “How do I differentiate myself from other (insert: musicians, composers, administrators, etc. )?” In order to be considered as different or unique among others in your field, you actually have to be different. That’s right, you have to strike out on your own and take a different course of action. In my past posts on the Tuxedo Revolt Blog, I’ve talked a lot about the importance of breaking the mold and going against the grain of tradition in music. But you don’t have to leave the proverbial herd to differentiate yourself among your peers. Doing things differently can move you to the front of the pack instead. But what does that mean? First it means being observant. Watch for the setbacks that hold others back and try to avoid them yourself. Often our awareness of others is much sharper (and also more critical) than the awareness of ourselves. Observe the setbacks you see holding back the careers and artistic projects of your peers. Study them. Listen. You can learn so much and save yourself from wrong turns in the future by observing others in a non-judgmental way. You’ll find yourself asking lots of questions. Though you may not have many answers at first, it’s the asking of the questions that gets your brain churning in new directions. It’s the enigma that boosts your creativity and passion. Keep asking questions, keep making your own answers and you’ll open new doors sooner than you thought. John-Morgan, you are a true inspiration to the old and young, well written blog!! !